We’d love your help. Let us know what’s wrong with this preview of Angeles Vampire by Sofia Raine. To ask other readers questions about Angeles Vampire, please sign up. Angeles Vampire is a fast-paced, action-packed fantasy adventure that will follow a female protagonist as she goes on a journey to find her father all while being thrust into a world that is beyond her wildest imagination. The story is an entertaining one that will enthrall, captivate and excite its readers from the very start and this is thanks to the well-accomplished author, Michael Pierce. Already I have to recommend Angeles Vampire to readers that love fantasy, as well as mystery novels as Angeles Vampire is a fast-paced, action-packed fantasy adventure that will follow a female protagonist as she goes on a journey to find her father all while being thrust into a world that is beyond her wildest imagination. The story is an entertaining one that will enthrall, captivate and excite its readers from the very start and this is thanks to the well-accomplished author, Michael Pierce. 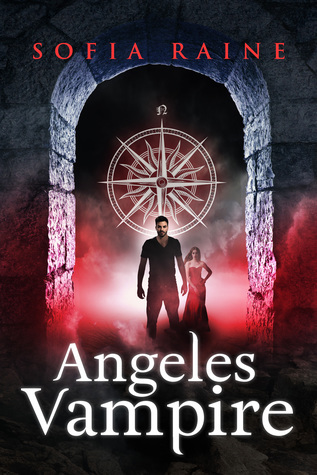 Already I have to recommend Angeles Vampire to readers that love fantasy, as well as mystery novels as this, is one of the best reads of these genres I have had the pleasure of reading! Angeles Vampire is an exceptional story that will introduce the reader to the protagonist of the novel, Fiona Winter. Fiona is a young woman who is searching for her estranged father; Fiona has been looking for a long time with no luck, and so her hope is slowly dwindling. However Fiona one day meets Matthew Mercer who claims to be able to help her, and when she agrees, her world will be changed forever. What follows is a captivating mystery full of monsters, secrets and thrilling moments and so I already have to recommend this book to you lovely readers as it should not be missed! The story of Angeles Vampire is one that is full of action, fantasy and of course adventure; all of these themes are perfectly weaved together into one of the most entertaining stories I have ever read. This is thanks to the phenomenal author Michael Pierce who hooks his readers from start to finish with his razor-sharp narrative and excellent characters. Michael Pierce is a newly discovered author of mine; however, I wish that I had discovered his work sooner! I wish I had because Angeles Vampire has fast become one of my favorite fantasy reads of all time, it is the book I have always dreamed of reading, so I am kicking myself that I have only just now discovered Pierce. Pierce indeed is a talented wordsmith, and that is why I have to implore you lovely readers to get lost in his work as his combination of fantasy themes and action is incredible and will have readers thinking of the events in the book for days afterward… I know I did! There are many factors I adore about Michael Pierce’s literature, but one of the main factors is his excellent characterization of the protagonist of the story – Fiona Winter. Fiona is a protagonist that many readers will be able to like, she is spirited, and her personality shines off the page and commands the story forwards. Fiona is a protagonist I love to read as she is, like the reader in the beginning, clueless of the events that are going to occur, events that will change her life forever. Because both the reader and Fiona is unaware of the events which are going to happen, it makes the reader feel included in the story, and it also makes for entertaining reading as you get to follow the protagonist on her journey. Fiona’s narrative shines off the page and into the reader’s heart, she is a compelling narrator, and her journey makes for an incredibly exciting read. As well as Angeles Vampire having a host of believable characters, it is also full of brilliant plot devices such as twists and turns. Michael Pierce, the author of this exceptional novel, has managed to incorporate twists flawlessly and turns into his story to excite, shock and surprise his reader. By doing this, he ensures that no reader is ever left tired of the story. Instead, he excited the reader continuously throughout his story, and this is a sign of a truly talented author. Michael Pierce is an author I adore; he has mastered how to write a novel that will appeal to young adults and older adults as he makes his book so widely accessible that every kind of reader will be able to find something they love in the story. Pierce’s literature throughout astounded me, whenever I would think I knew where the plot was going, he would shock me and keep me on the edge of my seat so thank you, Michael Pierce, for writing such a compelling story! This review has been hidden because it contains spoilers. To view it, click here. Before I started reading this I already associated the name Matthew with vampires. The first book I ever read about paranormals was from Deborah Harkness. It must be extremely difficult not to know who your father is. Fiona is obsessed with finding him, but I can understand that a little. Not knowing is worse than any other option. Even rejection. Her search brings her into an unknown world, with lots of dangers. These are what made this an extraordinary story. I don’t want to spoil the read but I’d Before I started reading this I already associated the name Matthew with vampires. The first book I ever read about paranormals was from Deborah Harkness. I don’t want to spoil the read but I’d definitely recommend reading this. The only downside is, you don’t get the whole story in one book, because it would be too long. But don’t worry, it doesn’t end with a cliffhanger. Voor ik aan dit boek begon associeerde ik de naam Matthew al met vampieren. Het eerste paranormale boek wat ik las was van Deborah Harkness. Het moet extreem moeilijk zijn dat je niet weet wie je vader is. Fiona is geobsedeerd om hem te vinden, dat kan ik wel een beetje begrijpen. Niet weten is erger dan alle opties. Zelfs afwijzing. Haar zoektocht brengt haar in een onbekende wereld met vele gevaren. Die maken dit tot een buitengewoon verhaal. Ik wil niet teveel details verklappen maar ik raad het zeker aan dit boek te lezen. Het enige nadeel vind ik, dat je niet het hele verhaal in een boek krijgt, daarvoor is het te lang. Whoa, I don't know what I was expecting going into this book, but it definitely left my head spinning.... in a good way... most of the time. There were a couple of times I was a little confused, which why I cannot give this book a 5 outta 5, but I am looking forward to the next book and I already clicked for book 2 on Kindle Unlimited! If you like angels, vampires, paranormal YA stories, you will enjoy this. I am eager to see where the series takes us. Yes, this is a series so there was a bit of Whoa, I don't know what I was expecting going into this book, but it definitely left my head spinning.... in a good way... most of the time. There were a couple of times I was a little confused, which why I cannot give this book a 5 outta 5, but I am looking forward to the next book and I already clicked for book 2 on Kindle Unlimited! If you like angels, vampires, paranormal YA stories, you will enjoy this. I am eager to see where the series takes us. Yes, this is a series so there was a bit of a cliffhanger, but instead of making me upset like normal cliffhangers do, I am just really intrigued to find out what happens! Fiona is a normal, every day kind of a girl that is a senior in HS and working with her friends at a coffee shop or so she thought! She is looking for her father and is trying to figure out why she has not heard from him in all of these years. There are MAJOR twists in this book, like super major, that will make you go, "whoa" and eagerly flip (or tap) to the next page. I thoroughly enjoyed reading this and recommend it. Once I have finished the series, I will update the post with more thoughts on it! Fiona Winter has been looking for her father for a long time doing research and then following up on any and all leads. Her family and friends have given up on helping her any longer. Fiona has went down one dead end after another in searching for her father and the people who love and care about her are afraid that it is doing more damage than good. Fiona lost her twin sister Rebecca when she was just six-years-old shortly after her death Fiona began to her voice. Becca came to talk to Fiona on Fiona Winter has been looking for her father for a long time doing research and then following up on any and all leads. Her family and friends have given up on helping her any longer. Fiona has went down one dead end after another in searching for her father and the people who love and care about her are afraid that it is doing more damage than good. Fiona lost her twin sister Rebecca when she was just six-years-old shortly after her death Fiona began to her voice. Becca came to talk to Fiona on a regular base. Being able to talk to her sister helped Fiona in so many ways. One day a young man, Matthew showed up and tool Fiona to a faraway place to meet some other people, dark and mysterious people. Matthew promised her answers to all of her questions and all the research she has done over the years. After being taken underground to meet all these dark, mysterious creatures Fiona starts to wonder what she has gotten herself into. Can she trust Matthew? Can she trust what she is being told? Are the creatures real? Does Matthew actually have the answers she is looking for? To fine all the answers pick up your copy today to find out. I will have to say that I truly enjoyed reading Angeles Vampire with all of its intriguing mysterious creatures. Angeles Vampire has so many secrets and will hold on to them right up until the end. It will pull you in from the first page making you feel as if you are right there with Fiona, Matthew, Becca, Mallory and everyone else trying to figure out what the underground folk have in store for them next. I would recommend Angeles Vampire to anyone who likes reading about vampires, angels, and monsters with a bit of mystery on the side. Angeles Vampire is a fantastic start into the world of Angeles Vampire. The beginning of this book was mostly about teenage angst, breakups, petty high school girl drama. Then Wham! A car accident, mysterious strangers, a secret organization, weird rituals.... I’m not sure what genre to place this in. Could be paranormal romance, alternate reality, or apocalyptic. Maybe all three. Regardless, I found this extremely interesting to the point where I could not stop reading until the end. Highly recommend reading this book. Who would’ve thought that a simple wish to find her father would drag her face down into the rabbit hole. She finds out what bumps in the night really does exist. I really enjoyed this story. Fiona was a likeable character. Matthew has me intrigued! The storyline is interesting. I can’t wait to see what happens next. Angeles Vampire was fast paced and very interesting. I read it in only a couple of days! The story immediately starts, which I love. Although I read more books about vampires, it's feels unique. The ending of this book really made me want to read the next books of the series! Excellent! Loved the storyline and characters. It was a faced paced read that left me wanting to read more! That was interesting but confusing at times. Not sure I understand the dynamics of her father and her situation. Sadly no one you can trust. I need cliff notes. I couldn't put it down. Fiona being a person who knows what she wants and Matthew trying to keep her focus and not showing his true feelings for her while training her. 5++++ can't wait to read more. This was not what I expected and went into an entirely different direction...one that makes an amazing start into what promises to be quite an interesting series. To those around her's frustration, Fiona refuses to give up the search for her father, a man who suddenly disappeared without a trace. But then, she's running out of ideas too. When a strange guy enters her surroundings and her boyfriend disappoints her, Fiona makes a decision which changes her life even more than she could have ever ex This was not what I expected and went into an entirely different direction...one that makes an amazing start into what promises to be quite an interesting series. To those around her's frustration, Fiona refuses to give up the search for her father, a man who suddenly disappeared without a trace. But then, she's running out of ideas too. When a strange guy enters her surroundings and her boyfriend disappoints her, Fiona makes a decision which changes her life even more than she could have ever expected. Pulled into a world she didn't know existed, Fiona not only searches for truth but for her life. This starts out like a fairly usual paranormal teen novel. There's the family drama, school drama, friends drama and boyfriend drama. Fiona is barely juggling it all and seems to only make those around her less and less happy. Her mom's unhappy, her friends are bugging her and even her boyfriend hits the bad boyfriend cliche square on. And then, the whole things starts to morph. When Matthew hits the picture, it doesn't seem that different than the usual drama at first, but this changes. The book slide more and more into intrigue, paranormal and a science fiction twist. There are secret organizations, jealous battlegrounds, and hidden agendas Fiona could have never dreamed existed. The truth behind her father molds into something completely unexpected and promises much more food for thought in the rest of the series. Even Matthew doesn't fall into a solid mold, and it's hard to guess what directions his character will take in the future. But then, all of the characters, good and bad, could bend and twist in so many ways. It will be interesting to see where all of it goes next. In a desperate search to find her father, she loses her boyfriend and almost her sanity, but the search brings her closer to the people that have answers. She gets recruited into mysterious society, full of secrets, supernaturals creatures that shouldn't exist. As she dives deeper into society more question arise. The answer will change her life forever in more ways than one. I first have to admit that I am a Vampire junkie from way, way back. I first read the original "Dracula" at the age of 13 and have continued to read books in this genre since then. So, when a book has the word "vampire" in the title, I automatically get excited! However, this book just didn't do it for me. The first major theme of the book is teenage girls being typical teenage girls. You have the trio of friends who do everything together (they even work together in the same coffee shop). Then, you have the HS witch and her minions. Loads of backbiting, teen angst, boyfriends and breakups...you get the idea. Fiona Winter, the main character, is searching for her father. She follows up every lead she can find, even to the point of driving away her boyfriend. Next, we learn that Fiona has some horrible scars as a result of a dog attack when she was 5 years old. And, oh yeah, the same dog attack killed her twin sister, Becca. Fiona talks to her sister's ghost, even sharing Oreo cookies with her. And, Fiona's mother also talks to Becca. On the night that Fiona's obsession with looking for her father drives a wedge between her and her boyfriend, they have a car accident when they swerve to miss a coyote (or dog?). Fiona is met at the hospital by a trauma specialist named Matthew Mercer. And, you know that Matthew is devastatingly handsome. When Fiona and her two friends are drugged while they are out drinking in the woods, Fiona is transported to a space station, where she meets 3 other captives. And, oh yeah, one of them is her arch nemesis, Mallory Fiennes. At this point, I began to feel like I was watching a bad horror movie. What intelligent person of any age would just join up with a group of kidnappers without any idea of what is going on or what their agenda might be? The price to join? Why, blood sacrifice, of course! And nobody seems bothered by this? From here, I continued to get more and more confused. You have a secret society, vampires (finally! ), time travel, possible werewolves or other shifters and a potential for the end of the world. As the book progressed, I found myself just not caring about any of the characters or where the story was leading. I struggled to finish the book and really had to force myself to continue it at times. When I truly enjoy a book, I can't wait to see what happens next. In this case, I really didn't care. The writing was good but it seemed like the author was trying to throw in every aspect of urban fantasy and the paranormal, added to a touch of dystopia and sci-fi, into the book. If you are expecting vampires, look elsewhere. Maybe I have just become jaded to this type of book. The main character is chosen to save the world, has a hateful rival who is also one of the chosen, the handsome but evil vampire is attracted to the MC.....you get the picture. I won't be finishing this series because I really don't care what happens next. Sofia Raine was a pen name used by Michael Pierce to start the Angeles Vampire series, which has been rebranded back to Michael Pierce. Please visit Michael's author page (https://www.goodreads.com/author/show...) for current information regarding the Angeles Vampire series and the rest of Michael's books.